We are the principle trader of Laundry Machines, which are known for giving efficient performance even after continues functioning. These machines are designed by the professionals at vendors' premises in accordance with the clients' requirements. We also provide these machines after confirming their genuineness. We supply to all major cities including Bangalore, Chennai, Chidambaram, Coimbatore, Erode, Gobichettipalayam, Karaikudi, Kumbakonam, Madurai, Mayavaram, Nagercoil, Ooty, Paramakudi, Pollachi, Pudukottai, Rajapalayam, Ramanathapuram, Rameswaram, Salem, Sathyamangalam, Thanjavur, Tirunelveli, Tiruppur, Trichy, Udumalpet. 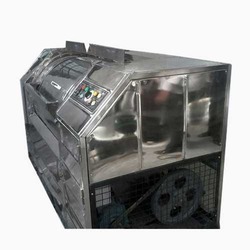 We are the principle manufacturer and supplier of Commercial Washing Machines, which are known for giving efficient performance even after continues functioning. 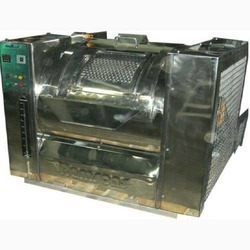 These machines are designed by the professionals at vendors' premises in accordance with the clients' requirements. We also provide these machines after confirming their genuineness. Our company excels in providing Step Down Transformer to the clients. This product is extensively used for the lower-voltage winding. Offered range is manufactured at our hi-tech manufacturing unit under the supervision of our adroit professionals using premium grade materials. 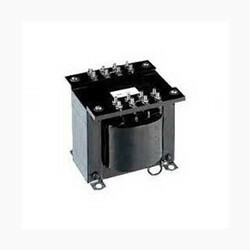 Step Down Transformer is available in different specifications to meet the specified need of our valuable clients. We are also dealing in Step Up Transformers.